Years of technological advancement brought us GPS and Google Maps – but what if your phone turns into a brick when you need it or you can’t get any reception? 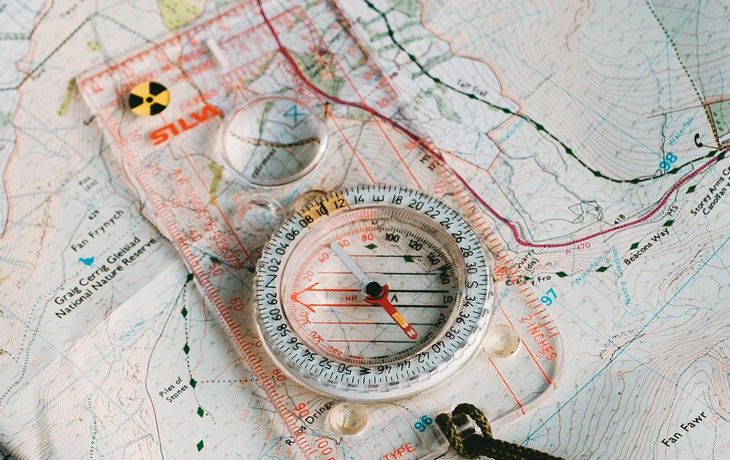 A physical map is perhaps a tourist’s best friend, especially when you don’t speak the language or if there’s no one around to ask for directions. Be sure to look at the map title when choosing a map to guide you. Different kinds of maps have different uses. 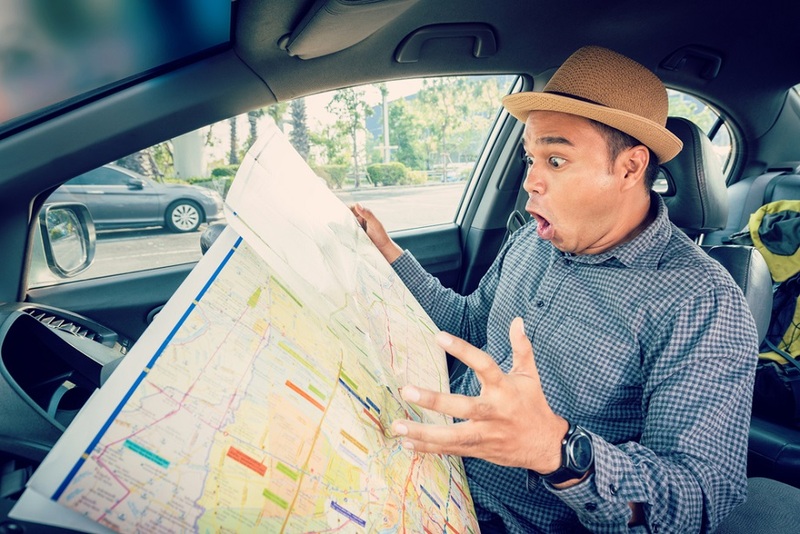 While road maps are made for drivers and would highlight byways and fly-overs, tourist maps highlight landmarks, with topographic maps designed mostly for hikers and backpackers. Most maps are oriented with north at the top. If you’re not sure, find the compass rose on the map to see where it’s oriented. 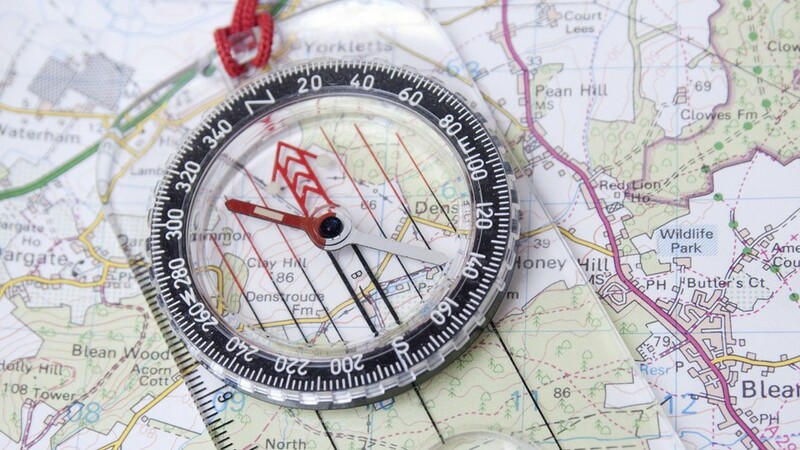 If there is no compass rose, assume that the map is oriented north. You should also look at the scale, which for most maps is located at the bottom. The scale ratio indicates how many units of distance between points on the map are equivalent to how many units of distance in real life. For example, maps for walking distance have ratios of 1:25,000, while driving maps have a 1:190,000 ratio. Topographical hitchhiker maps also include contour lines. Lines that are closer together indicate steep land: the closer the lines, the steeper the land. If they’re far from each other, you’re looking at a flatter surface. Find common topographical features such as road names or bridges and natural features such as rivers. If you’re not sure where you exactly are, look at two landmarks that you can see around you and find them on the map. Your relative position should be somewhere between these two points. From there, look for closer landmarks to zero in your location. This method is called “triangulation”, and is taught to soldiers and sailors to determine where they are. Now that you know how to read a map, you can use it to get from place to place. Just remember where landmarks are so you would know if you missed a turn.